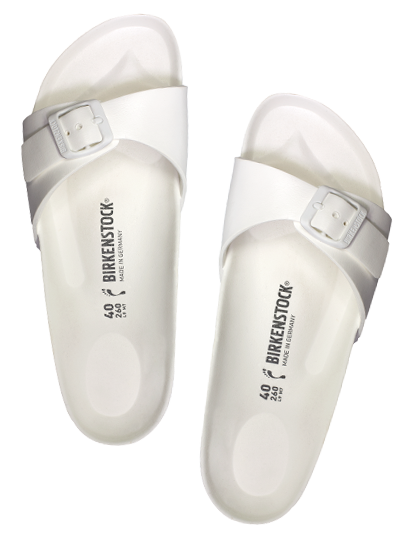 While it may seem that these sandals are only appropriate for your gym bag, Sunday errands or a quick coffee run, we beg to differ. Try sporting a pair with your business attire. Think a pencil skirt, a lightweight trench and a structured handbag for a look that shows you tried (but not too hard). 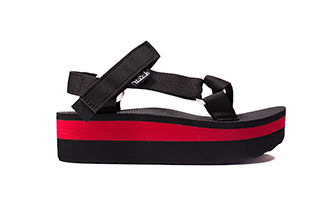 Although the iconic brand is most known for their “Arizona” style (the two-strap version shown above and below), we’re big fans of the “Madrid,” the newest iteration with a single strap. 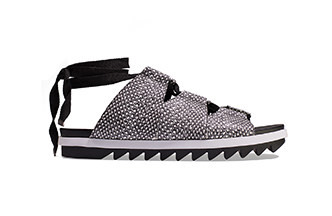 Heed this warning: Full-length pants plus slides make for a fashion disaster. (Dragging hems caught in your shoes? No, thanks.) Instead, aim for something cropped. Showing a bit of your ankle makes the look more flattering and safe for pedestrians. 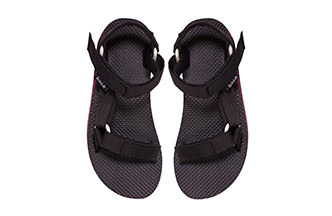 What elevates a sporty sandal from a typical flip-flop? 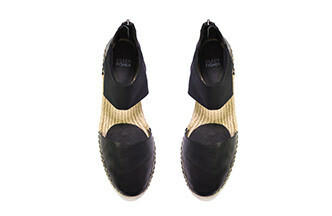 A “flatform” sole. Look for styles that give you about half an inch to an inch of height. 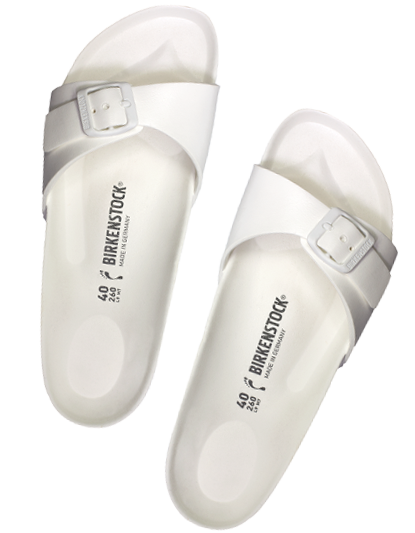 This will also make them a lot more comfortable for your arches. 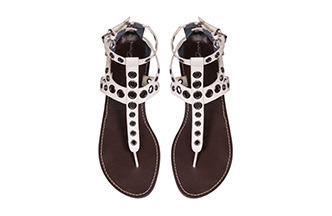 Gladiator sandals are back with a vengeance (see what we did there?). 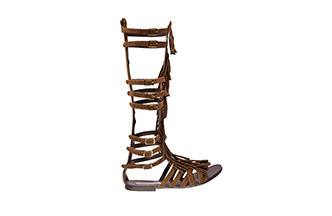 The leader of the pack this season: A knee-high gladiator sandal. Yep, that’s a thing. But not to worry if you’re apprehensive--shorter styles are still in the mix. When putting together your outfit, opt for feminine pieces like a slip dress or lacy skirt to counteract the tough-looking straps. It’s fashion juxtaposition at it’s best. 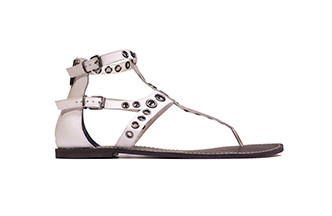 A gladiator sandal isn’t a true gladiator until it earns a few studs. Leather ties at the ankles are also a popular update. Just be sure not to tie in a bow. When wearing knee-high gladiators, stick to voluminous skirts and dresses. Since the shoes are tight around the calves, it’s a nice play on proportion. Oh, and no shorts allowed. Period. 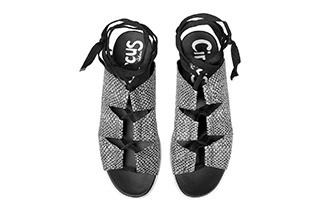 Gladiator sandals are busy, so ladies with feet size nine and up should look for a pair with ideal proportions--no buckles or gewgaws that magnify the size of your feet. Look for sleek styles, like the options below. Women with heavier calves or thicker ankles should opt for styles that don’t reach high up on the ankle. 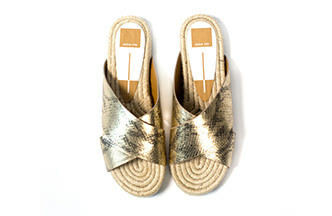 (See the Sam Edelman pair below.) Also, try them on and see how you feel. Don’t force it if it’s not for you. 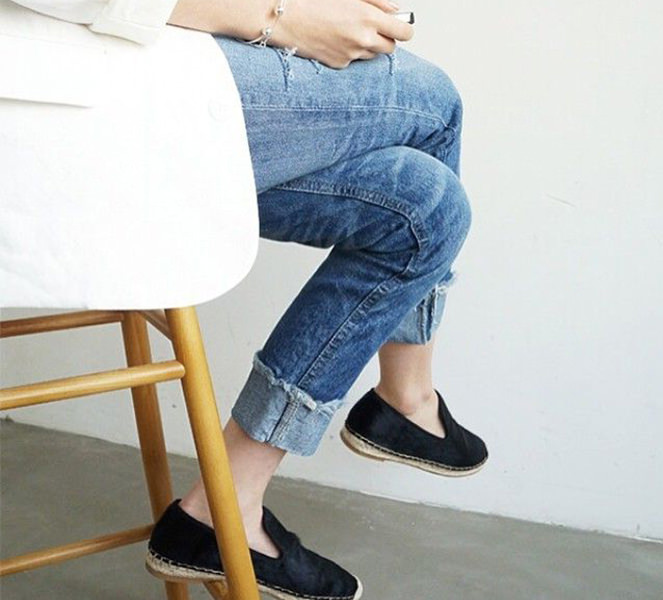 The tried-and-true espadrille. If ever there were a French style to copy, this would be it. And the best thing: there are tons of iterations. 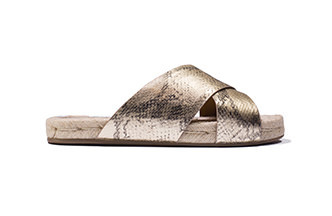 There’s the sneaker-like sandal, the slip-on slide and even the dressy wedge. No matter which option you choose, it’s bound to see a full season’s worth of wear. Busy prints on your feet can be a bit much. But Charles David gets this pair just right. 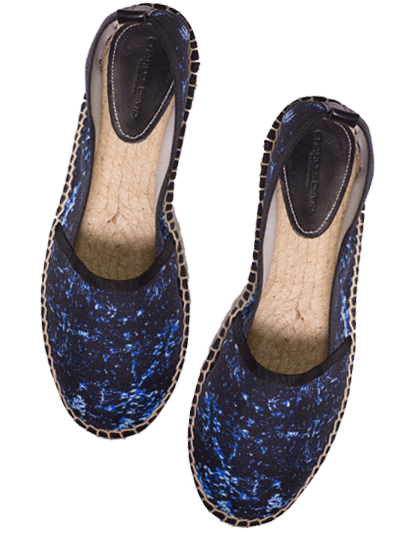 The celestial pattern adds a certain interest to the simple flat, while the colors make it easy to work into your current rotation. We’re thinking cuffed denim or a breezy sundress. 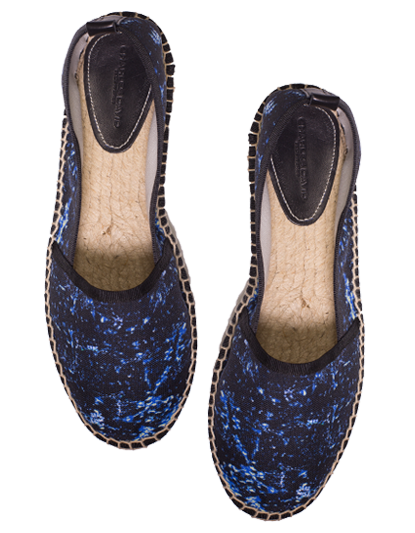 Espadrilles are an essential when traveling this season. They can go anywhere from the beach to the boardwalk to the bar for a negroni without a second thought. 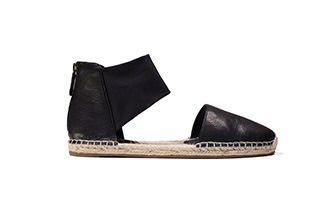 When wearing espadrilles with skirts or dresses follow this simple equation. 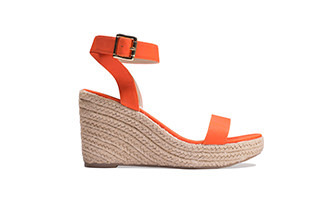 If the hem of the item falls below your knees, choose the wedges (see the Steve Madden pair below). 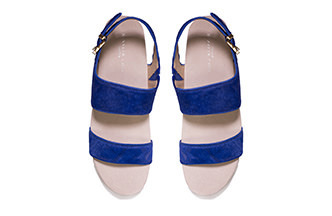 If the hem is above your knees, pick the flats. It keeps the look in proportion.